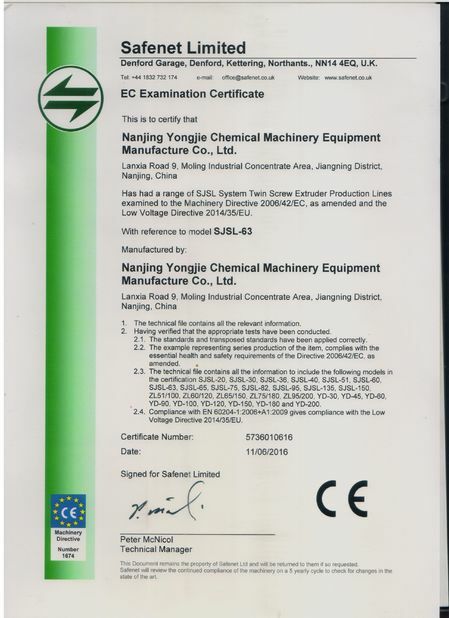 YONGJIE has been in plastic pelletizing machine industry since 2001, and started to export since 2004. 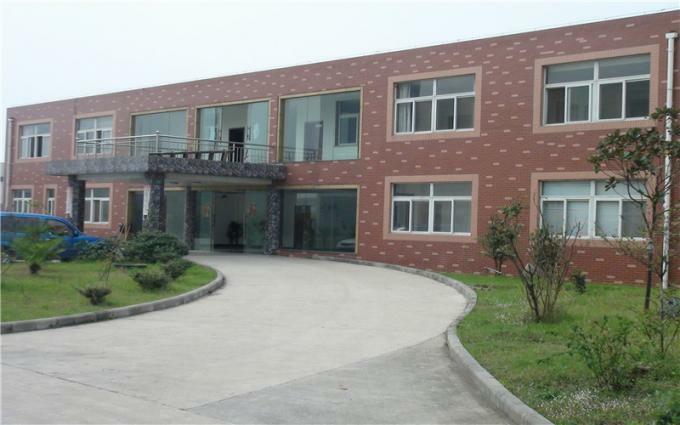 Our factory covers an totally land of 20,000 square meters, factory and office area around 10,000 square meter. 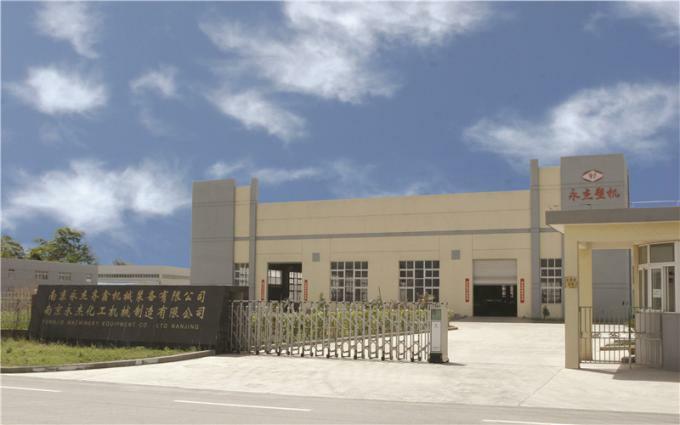 We have around 10 experienced engineers, who have been in the plastic extruder industry for more than 20 years, and 60 sophisticated technical workers. 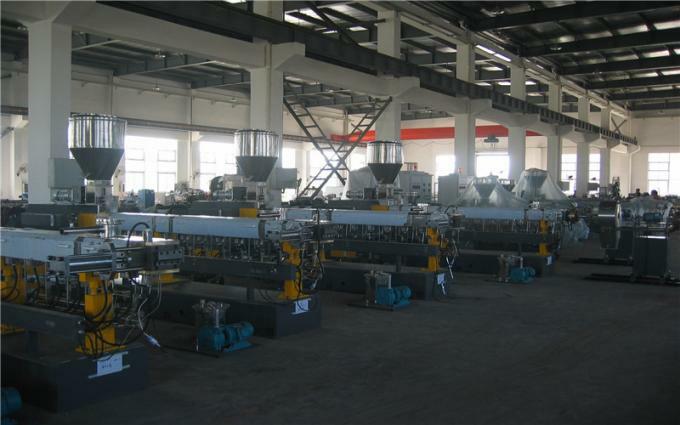 We have 15 sets of processing machines for the production of screw and barrels, gearbox etc (key parts and technology of plastic pelletizing machine), including two CNC machines for precision treatment of machine parts. 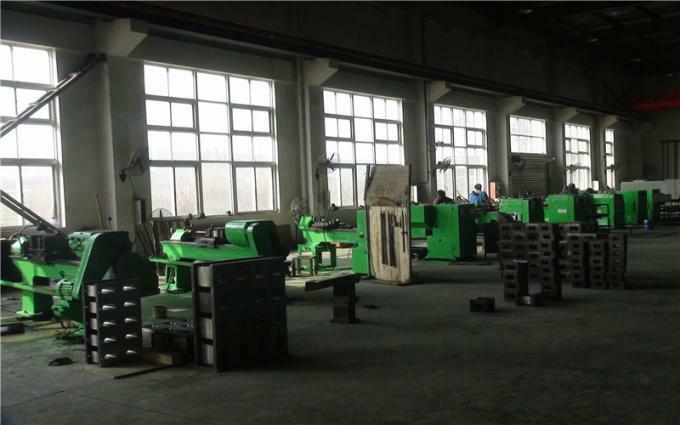 And monthly output of machine reaches 20 sets. 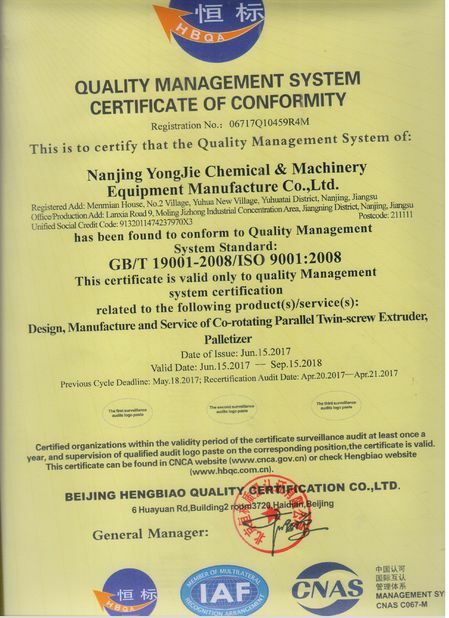 Our factory is certificated to ISO9001:2008, and all our machines are conformed to CE standard.